I can’t wait for this book to hit the shelves. 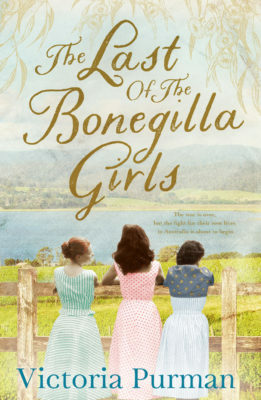 It’s a story close to my heart: it’s about three young women who come to Australia in 1954 as migrants from post-war Europe and begin their adventures here in a new country at the Bonegilla Migrant Reception Centre. The book is inspired by the journey of my mum and her family, who came here that same year for a new life and better chances for their family. Here’s a little bit about the book, and if you like to pre-order your books, here are all the links.